When looking to renovate or maintain your roof, it is important to have all of the right equipment. This means looking for copper chimney caps and other products in order to help with the process. Both private individuals and contracting companies alike will need to get the right supplies before they can begin work. By looking to FAMCO, the Fresh Air Manufacturing Company, you will find what you need the most. Since 1989, this company has been providing sheet metal and plastic to a variety of customers. These days, they remain one of the biggest manufacturers of such products in the USA. Individuals looking for American quality at a reasonable cost will need to look no further. A well laid out and concise website makes for much easier browsing and price comparison. Customers are given the opportunity to sign up with an account. Here, you can become a member and even receive ten percent off your next purchase. For many people, this is more than enough incentive. When carrying out construction work, you have to keep certain things in mind. Good quality and easy maintenance are by far the most important. Easy maintenance means better performance, and less time wasted on fixing certain issues. Go onto their catalogs and see what is on offer now. Photographs, product descriptions and the price will all be displayed. There are several reductions here as well, so you know you will be getting a good deal. If the details do not suffice, you can always contact the company and ask about what they offer. Contractors in particular want to keep ahead of the game. Maintaining a good reputation is important for business. With decent quality equipment, you will have fewer complaints and a much higher standard of customer satisfaction as well. Various accessories which can help with repair and maintenance are also available. If you want to order these products right away, an “add to cart” button is provided and makes the process a lot easier and saves you both money and time. 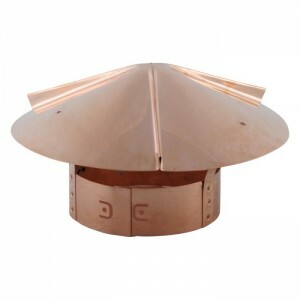 Copper chimney caps, HVAC dampers and many other products needed for various installation purposes are all available here. In today’s world, most people want to get good American quality products. FAMCO delivers them. By knowing where to look, the customer can save a lot of effort during his or her search. Keep this in mind when you start shopping for equipment.